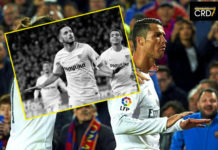 Cristiano Ronaldo was in luck on 27 January 2019; a date which marked the 25th birthday of his girlfriend, Georgina Rodriguez. By now, Cristianites should know that Ronaldo’s partner, Georgina Rodriguez, was born on 27 January 1994. 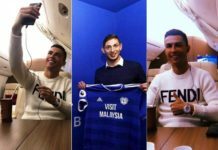 She started dating the world’s most popular footballer a few months before she turned 23. By the time she celebrated her 24th birthday, Gio and CR7 were already “a thing” — officially. No more hiding behind a wig and dark glasses to sneak into Disney World Paris. Rumors even claim that Cristiano and Georgina aren’t “boyfriend and girlfriend” anymore but “husband and wife” for quite some time. The latter has been wearing rings on her wedding finger, sparking curiosity on social media. Could CR7 and Gio have organized a secret wedding? 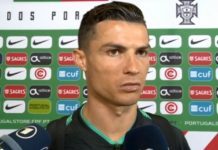 Whilst there is no proof of that, English and Portuguese papers reported in late 2018 that the 33-year-old athlete has rolled out plans to marry “the woman of his life” in grand “church style”. The pair has been flaunting their relationship on social media since the summer of 2017. Georgina’s Instagram following has exploded since then, from counting a few thousand people to crossing the 9 million followers mark. 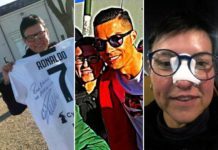 The introverted Spanish model’s rise to fame seems to have come naturally thanks to her gracious looks which Cristiano Ronaldo fans appear to adore. 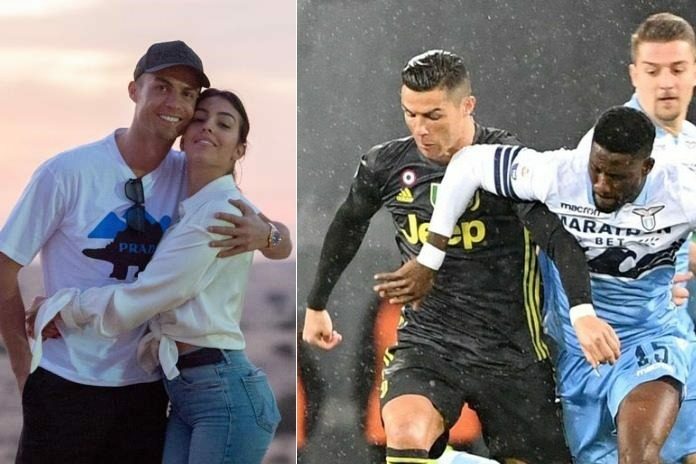 Georgina Rodriguez has also won the respect of Cristianites worldwide for accepting Ronaldo’s first three kids — reportedly born from a surrogate mother — as her own before giving birth herself to the couple’s first child, Alana Martina born on November 12, 2017. Moving to Turin has enabled Gio to focus on her modeling career while CR7 enjoys a more present role as a family man. On Sunday, the happy father took to social media to share a romantic line with the world. “Happy birthday to the most wonderful woman God could have brought my way!” his post read, with a sweet picture of the couple dating from their recent trip to Dubai. 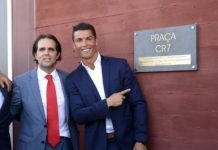 That shot was taken earlier in January as Cristiano Ronaldo graced the 2018 Globe Soccer Awards to kick start the year 2019 with one more individual title in his museum. A few hours later on Sunday, the number 7 icon was on duty for his club on a rainy night in Rome. Opponents Lazio presented a tough challenge until right-back Cancelo was introduced from the bench. The dynamics of the game changed. Back from injury, Cancelo equalized from a rebounding save inside the last quarter of the match. 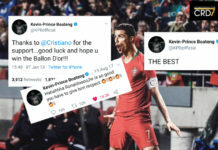 Shortly after, he won a penalty for his side which Cristiano Ronaldo converted without mistake. One right-foot shot high into the roof of the net to silence the home crowd at the Stadio Olimpico. 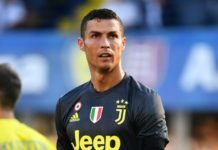 1) Ronaldo has become the first player in Italy’s first division, since the three-point era (1994/95), to stretch his goalscoring streak in Serie A away matches to eight games. The victims of his rockets have been Frosinone, Udinese, Empoli (a brace), AC Milan, Fiorentina, Torino, Atalanta, and now Lazio. 2) Ronaldo has become the player to win the most points (19) for his club in Europe. This has inspired Juventus to their best ever start in the league. They boast a +11 point advantage over second-placed Napoli (48) ahead of Matchday 22. 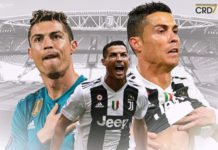 3) At 33, Ronaldo’s influence on the field remains undeniable as he’s had a hand in 20 of Juventus’ 43 goals in the Serie A. That’s almost 50 percent of his club’s tally and a 0.95 goal contribution per game ratio. See our Lazio 1-2 Juventus match stats and video highlights page. 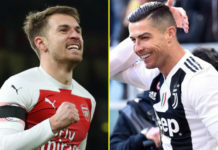 FACT: Without Ronaldo’s poached match points, Juve would have — quite surprisingly — been struggling in third position in the Italian Serie A table, joining Inter on 40 points. 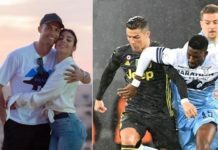 It’s safe to say that Juventus won the jackpot by signing Cristiano from Real Madrid last summer, and Cristiano won the jackpot by settling down with a giver of luck and serenity like Georgina Rodriguez.